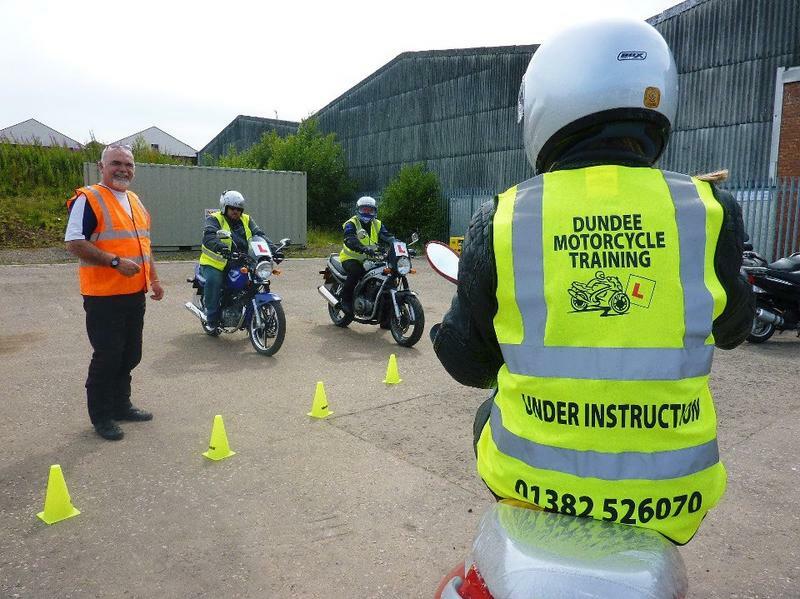 Compulsory Basic Training is the course that everyone has to complete before they can legally ride on the road. The minimum age for sitting a CBT is 16 years. At 16 years the biggest bike you can ride is a 50cc machine. At 17+ years of age you can ride up to 125cc with a CBT. The CBT usually takes a day to complete. It has five separate elements to it and involves continuous assessment rather than a test. This means that once you have mastered the first elements you will then progress to the next, which carries on throughout the day until you have completed all of the elements. On successful completion a certificate is issued and is valid for 2 years. This certificate allows you to legally ride up to a 125cc motorbike on the road. If you need more training an extra half day is given at no extra cost. When you come in for your training remember to bring in your full or provisional licence. The instructor will need to see this before you start training. If you do not have motorcycle boots, wear the sturdiest pair of boots you have. Please don't wear trainers as they are slippy in the wet. Wear the thickest pair of trousers you have (thick jeans are fine). Please don't wear tracksuit bottoms or leggings because they offer no protection. We have a selection of helmets, gloves and jackets for you to use. Although, it's best to bring your own if you have them. Wear a warm jumper for underneath your jacket in case it gets cold. It's best to have a look at an up-to-date Highway Code before you come in. It will make it easier for you went you are out on the road. 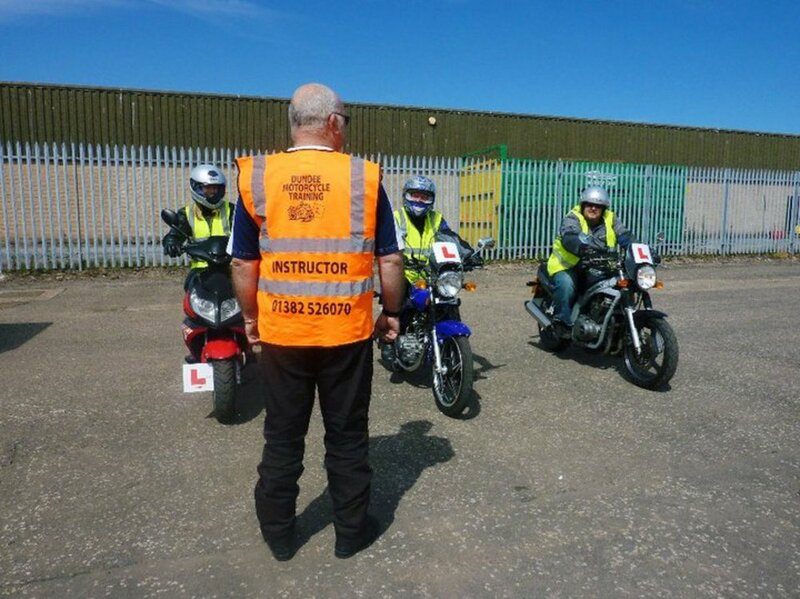 If you want to go further and go for your full motorcycle licence the CBT certificate is required for the Module 1 & 2 training as well as the tests. Depending on your age, you can go on to gain your full motorcycle licence and legally ride any size of bike on the road. The age restrictions which are defined by the Driving Standards Agency (DSA) can be seen on the Restricted Access and Progressive Access pages. 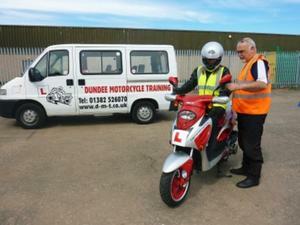 Details of the lessons and tests required for your full motorcycle licence can be found on the DAS page. We are open 7 days a week give us an e-mail or call us on 01382 526070 or 07758652197 to get booked in for your CBT.